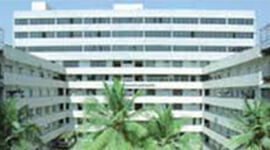 Kristu Jayanti College was established in 1999, is run by "BODHI NIKETAN TRUST. The Institute is affiliated to Bangalore University and is reaccredited with highest grade 'A' by NAAC in Second Cycle of Accreditation. 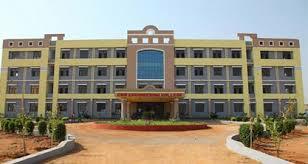 Kristu Jayanti College is recognized by UGC under the category 2(f) & 12(B). 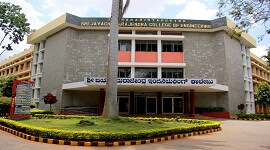 The college was made autonomous from 2013 by the University Grants Commission, Government of Karnataka & the Bangalore University. The institution strives to fulfill its mission to provide educational opportunities to all aspiring youth to excel in life by developing academic excellence, fostering values, creating civic responsibility and building global competencies in a dynamic environment. Kristu Jayanti College vision is 'Light and Prosperity': To provide intellectual and moral leadership by igniting the minds of youth to realize their potential and make positive contributions leading to prosperity of the society and the nation at large. 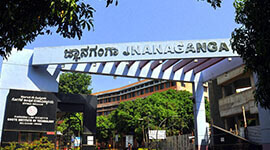 Laboratories, library and other learning resources such as computers, e-resources and Wi-Fi facility are initiated.The college has spacious class rooms, auditoria, laboratories, conference halls, panel rooms and sports facilities.The auditoria, amphitheater and quadrangle serve aslaunch pads for diverse co-curricular activities. 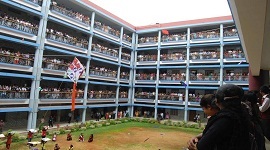 Various sports and games facilities contribute to the development of students in extra-curricular activities. The College Library provide unlimited access to a wealth of Information to the staff and students like books, magazines, Journals, statistics, encyclopedias, annual reports and the Internet. Automated library enables easy accessibility and optimum usage. 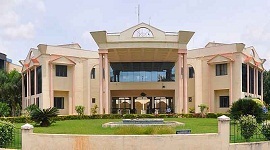 Kristu Jayanti College of Management, located in Bangalore. The library service includes reference, circulation, current awareness information, reprographic, bibliographic, data search facilities, resource sharing with other libraries etc. 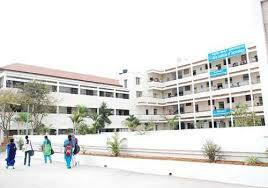 The college has separate hostels for both boys and girls within the campus. Well-experienced and eminent faculty committed to the cause of learning and teaching. 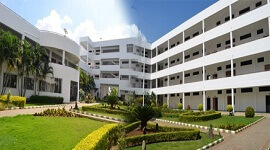 Kristu Jayanti College of Management has spacious class rooms with state-of-art teaching aids. Transportation for both the students and faculty. 100 % placement assistance for all the eligible candidates. 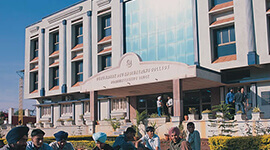 Laboratories, library and other learning resources such as computers, e-resources and Wi-Fi facility are initiated. The college has spacious class rooms, auditoria, laboratories, conference halls, and panel rooms and sports facilities. Excellent placement cell to achieve nearly 100% placements. Soft skills training to improve their communication skills, personality development, aptitude, attitude, interview skills etc. Skill enhancement and employability programs by highly experienced training partners. The quality of training provided has ensured that the average CTC has consistently gone up every year. Institute organizes personality development programs to make the students realize and utilize their potential to the fullest extent. 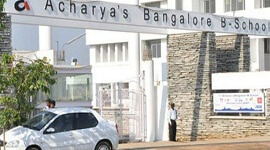 3rd, 4th, 5th positions in Commerce, Arts & Science among Top 10 Colleges in Bangalore. Large auditorium to accommodate students and faculty. Highly experienced and eminent faculty.